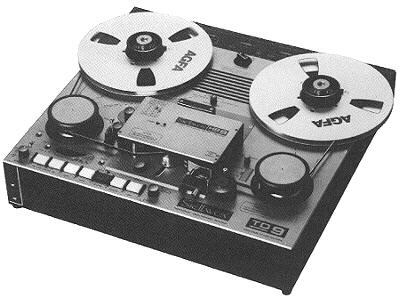 In 1984 Stellavox introduced the TD9, the first really modular Studio recorder existing. This modularity made the TD9 continuously adaptable and upgradable. Today the original studio machine matured to a unique Recording system, the only of its kind in the world. Even in film format, where average quality is considered sufficient, the Stellavox TD9 Recording system has the reputation to be ahead of its competition in sound quality. Used as master recorder by the worlds leading record compagnies, it sets new standards for definition, transparency and phase accuracy. By the simplicity of its operation the Stellavox TD9 recording system can be used for the most common applications without special training. Changing format or tape equalization can be done in a few seconds with only one allen key by exchanging the headblock and electronics assembly. Capable of being synchronized on 50/60 Hz single or biphase mode, Time-code, Neopilot and FM-sync. Capable to be remote controlled and even fully monitored by a computer (RS422 or 232) the Stellavox TD9 is among the most versatile recording systems in existance today. Built in Switzerland using the best craftsmanship in the world, and designed to be extremely rugged, the Stellavox TD9 is not only without competition, but also really an investment, in its quality and reliability. When a studio has to use more than one format, different pilot standards, or an analog and digital combination of formats, the number and cost of necessary machines can be drastically reduced by taking full advantage of the versatility of the Stellavox TD9 recording system. The Stellavox TD9 handles three different formats with ease (?', ?' and 16mm or 16mm, 17,5mm and 35mm perfo tape). The announcement of digital headblocks for the most existing formats and the commitment to develop any other future format that could prove necessary sufficiently demonstrates how futureproof the system is. The final commitment, making all new functions and future developments retrofittable, confirms all the present TD9 system owners that they have made "the sound investment" when they bought the TD9 Recording system.